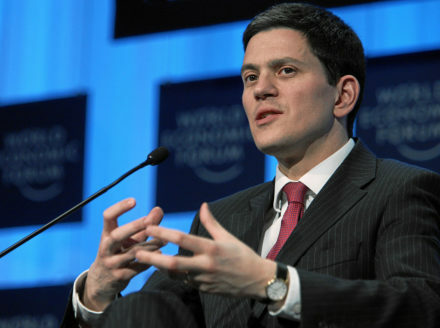 There once was a time for people like David Miliband. Back when the country rejected Gordon Brown and gave slick, polished David Cameron the chance to govern. Back when we were still heavily reliant on the six o’clock news and the daily papers. Back when the word ‘politician’ created images of older white men with middle-of-the-road politics that supposedly appealed to the masses. I thought David Miliband was the only one to lead us to victory out of the five that ran in the 2010 Labour leadership contest, as did the likes of Dennis Skinner. Due to Ed Miliband being elected and then losing the general election, the idea we chose the ‘wrong’ Miliband brother is a discussion we will probably continue to indulge in. I still hold a candle for David Miliband, however dull the flame, but I cannot deny that he is not what Labour needs now. The energy of politics has changed. Whether you like him or not, there is a sense of energy surrounding Jeremy Corbyn that I haven’t known in the years I have been politically active. I was just a toddler when Tony Blair became Labour leader, making Corbyn the surprising party leader of my young adult years. But there is a part of me that believes Corbyn isn’t the answer to Labour’s problems, so I now look to the future at who our next leader will be. Over the last few years, we have seen enough political events to last a lifetime. We’ve left the European Union. A rich TV presenter has become the President of the United States. The era of Twitter means that every political event is breaking news. It never stops. We’ve also seen what politics can and should be like. From the distinctive voice of our shadow secretary of state for education to a Muslim mayor of London, with more politicians embracing their identities and background. We don’t need just white men in suits – we need people who look and sound like the breadth of this country. That means we should have some white men who wear suits. But it also means we need accents from the North East. The diversity of London. The experience and views of those who have experienced poverty in their life. All genders and none. Those who have needed a bit more support in life, as they are the ones best placed to provide for the next generation. There are some people calling for, or welcoming, the potential return of David Miliband to British politics. Most people in Labour seem to fall firmly on one side of this argument. I have nothing against David Miliband, but he isn’t what Labour needs. Give us more people like Angela Rayner, Laura Pidcock, Sadiq Khan and Marsha de Cordova. We need regional representation, a true range of backgrounds, and a bit of ideological diversity – the broad Labour Party is the strongest Labour Party. We need to be the party that the country identifies with. There will always be people who argue we simply need “the best person for the job” – but we haven’t had that in any time in British history, so if anybody has any ideas on how to achieve this, I’m listening. Until then, let’s push ahead with ensuring our party and our parliamentary labour party is real and reflective of this country. And it isn’t David Miliband we should be calling on. Kerri Prince is a council candidate in Hillingdon and works in Parliament.